Calcium is an essential mineral which is needed for the maintenance of normal bones and teeth. Other important roles include the contribution to normal muscle function and normal neurotransmission, as well as normal blood clotting and normal function of the digestive enzymes. 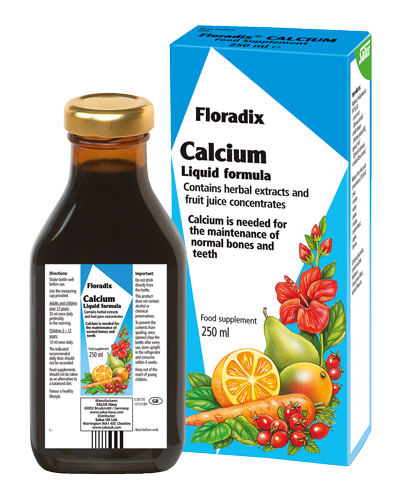 Floradix Calcium is pleasant tasting thanks to many herb and fruit extracts. Its liquid preparation makes it easy to take and ensures maximum absorption. 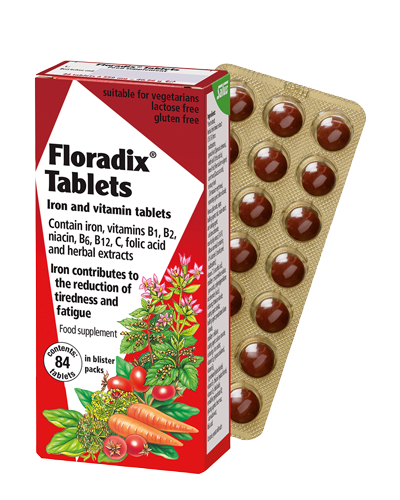 Floradix Calcium contains no alcohol, preservatives, colourings or artificial flavourings. It is lactose free and suitable for vegetarians. 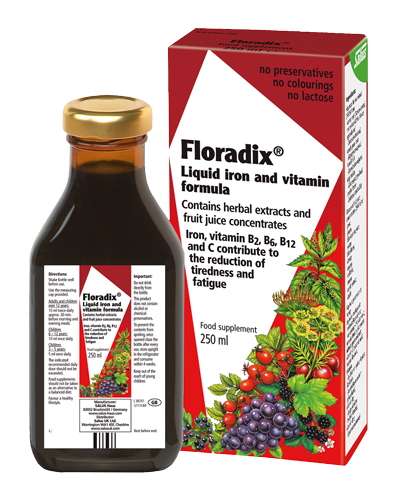 Adults and children over 12 years: 20ml once daily preferably in the morning. Children aged 3–12 years: 10ml once daily. 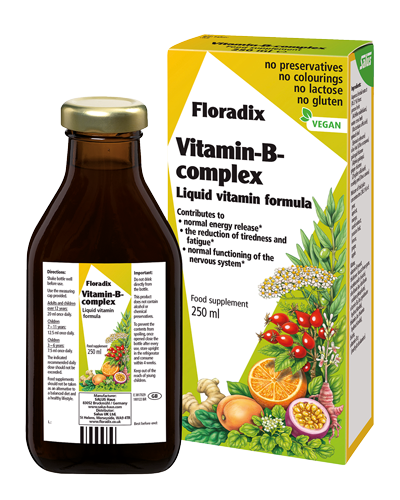 Available from selected independent health food stores, independent pharmacies and selected online health food retailers. Aqueous herbal extract (54 %) from: carrot root (Daucus carota), roselle flower (Hibiscus sabdariffa), spinach leaf (Spinacia oleracea), rosehip (Rosa canina). Mixture from fruit juice concentrates (34 %) of: pear, orange, water, mango, carob extract, grape, lemon, apple. Calcium gluconate, calcium lactate, thickener: locust bean gum, natural flavours. Food supplements are not intended to treat or prevent any disease. We recommend that you should seek medical advice from a qualified health care professional before you start taking any dietary supplements, especially if you are pregnant, nursing, have a medical condition or are currently taking medication of any kind. Always read the product directions before use and do not exceed the recommended intake. Food supplements should not be taken as an alternative to a balanced diet. Keep out of reach of children. Disclaimer: Information on this site and any products mentioned on this site are not intended to diagnose, treat, cure, alleviate or prevent any diseases. None of the statements made on this website have been reviewed and all articles on this website are the opinions of their respective authors who do not necessarily claim or profess to be medical professionals providing medical advice. We recommend that you should seek medical advice from a qualified health care professional before you start taking any dietary supplements, especially if you are pregnant, nursing, have a medical condition or are currently taking medication of any kind. This website is supported by different affiliates and we may receive a paid commission on certain products. Any and all trademarks, logos brand names and service marks displayed on this website are the registered or unregistered trademarks of their respective owners.